We’re saying “buh-bye” to summer this week, and reluctantly trudging toward the dreaded #backtoschool. But that doesn’t mean we still can’t have some fun, right? And these pops prove it. 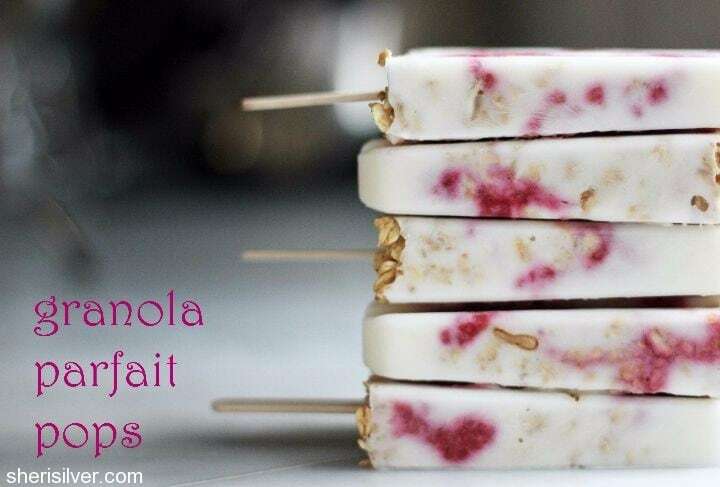 When challenged to create a recipe using Bear Naked’s Sea Salt Caramel Apple Granola, I immediately went to the idea of a granola parfait popsicle. And while popsicles for breakfast might at first glance seem a bit – “untoward”? 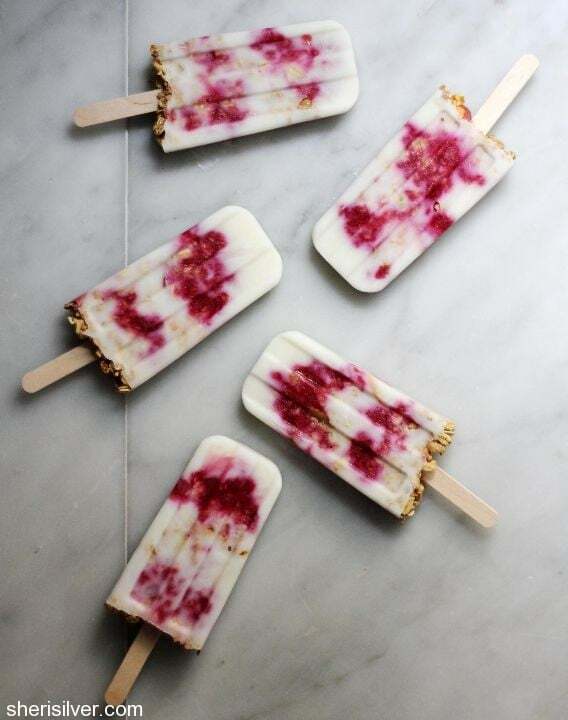 – these pops are all good. And ALL GOOD. My kids love anything “on a stick”, and this grab-and-go healthy treat will keep me in check throughout the busy day too. 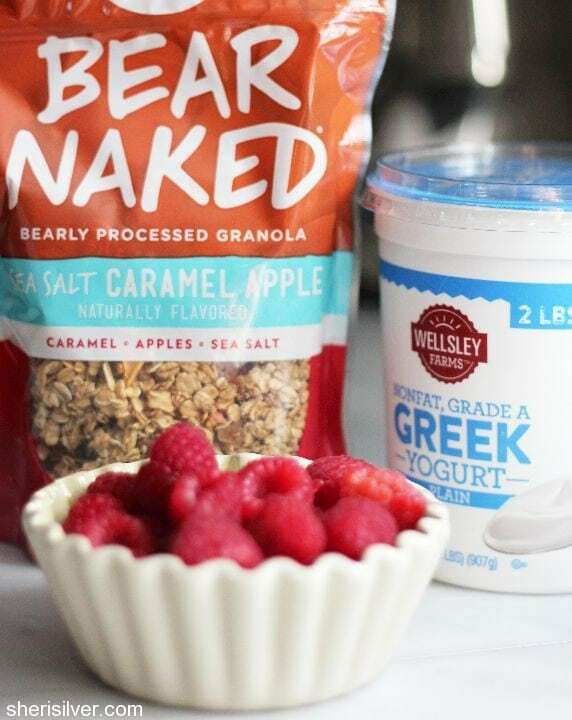 I am a big fan of the Bear Naked product line and was excited to try this new flavor, which basically screams “fall” – with its sweet-savory combination of tangy apple, caramel and dash of sea salt. 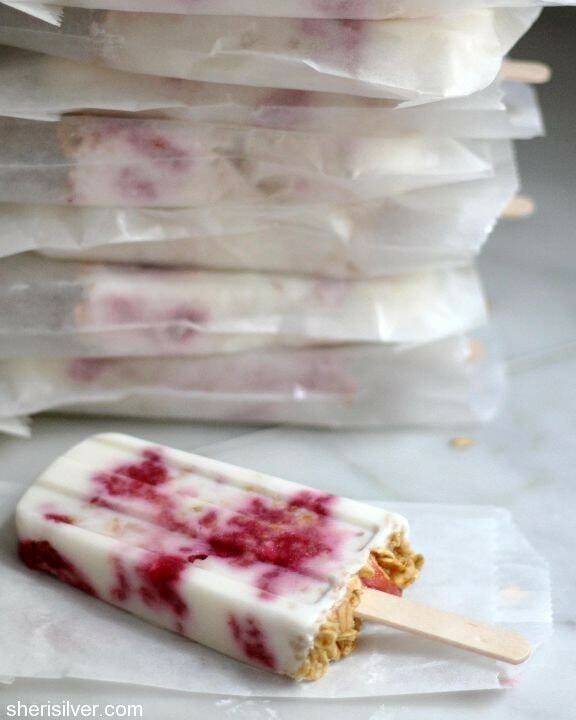 And since the granola itself is super flavorful, there was little else needed to round out these pops. I got everything at my local BJ’s – including an “in-club” coupon (located at the front of the store) for $2 off Bear Naked products. I also took advantage of the Ibotta app – have you tried it? 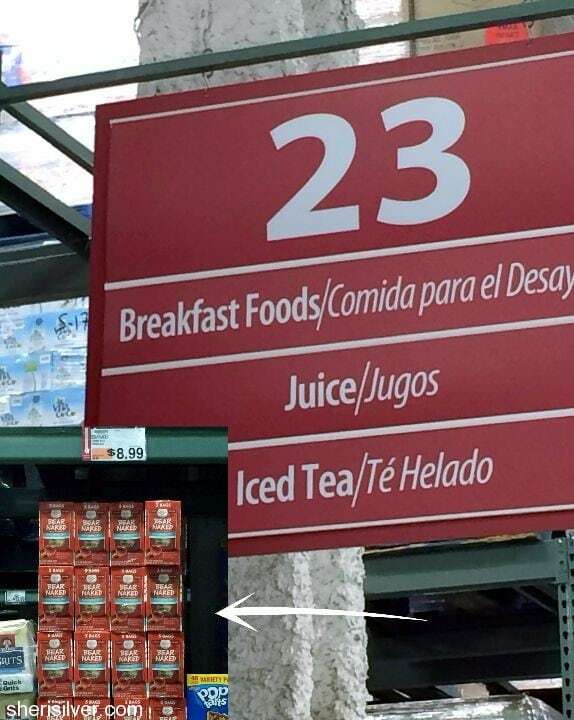 Ibotta is a mobile app that allows you to earn cash for products you actually buy – at stores you actually shop in (everything from chain grocery stores to drugstores to big box stores). It’s quite easy to use. Simply download the app, browse and create a shopping list. After completing a quick task, money is deposited into your Ibotta account. When you’ve purchased your items, take a picture of your receipts and upload them. Money is deposited into your account, which can then be transferred to your bank via PayPal, turned into gift cards or donated to a school in need. 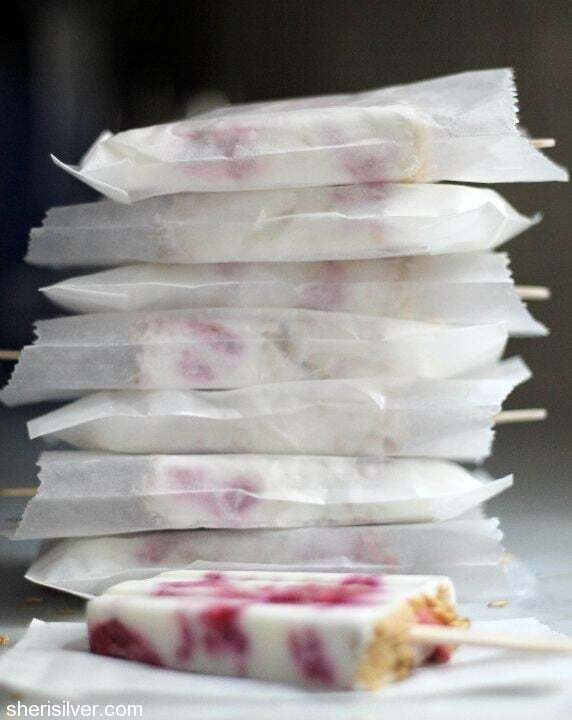 This is one of the easiest pops to make, and can be endlessly tweaked to suit your family’s tastes. Feel free to substitute your favorite fruit for the raspberries, or use traditional yogurt in place of Greek (see Notes, following the recipe). 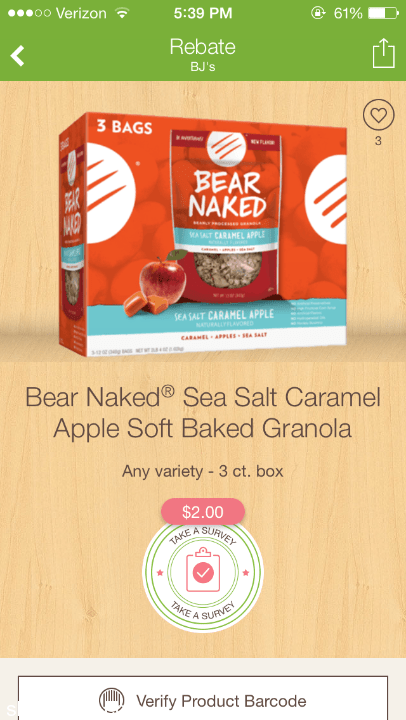 And for more ways to use Bear Naked products – including samples of Sea Salt Caramel Apple and a $2 off coupon! – be sure to attend one of the demos taking place at chain-wide BJ’s Wholesale locations on September 5th. Don’t forget to check out Bear Naked’s Facebook page too! How do you handle breakfast on these hectic weekday mornings? Combine raspberries and 2 tablespoons of the honey in a small saucepan and place over medium-high heat till bubbly. Reduce to a simmer and cook – stirring often – for about 10 minutes. Remove from heat and let cool. While fruit is cooling combine the yogurt, milk and remaining 2 tablespoons of honey; stir 1/4 cup of the mixture into your 3/4 cup of granola. 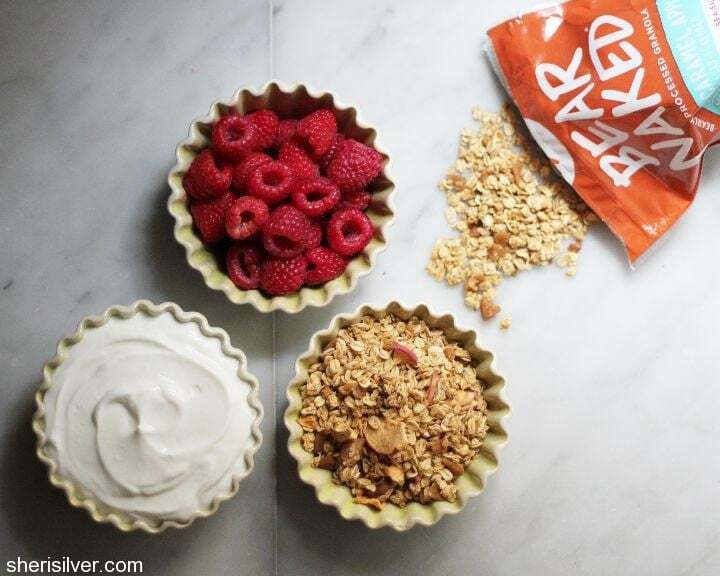 To make the pops, layer the yogurt, fruit and granola till molds are filled, ending with a thin layer of yogurt and a sprinkling of granola. Add sticks and freeze overnight. 1. If substituting strawberries, peaches or other larger fruit for the raspberries, coarsely chop enough to measure 1 cup. 2. While you could just drop the fresh fruit right into the popsicle molds, it will freeze up rock hard – making the pops less pleasant to eat. The quick-cook method used here takes just a few minutes, and makes all the difference. 3. 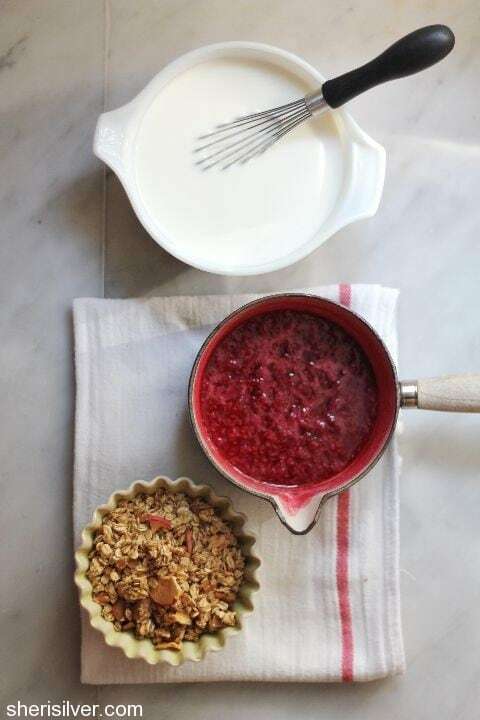 Coating the granola with a bit of the yogurt creates a more cohesive pop, that is less likely to break as you remove it from your mold. 4. And speaking of yogurt – while I’m not a fan of eating yogurt straight up, I absolutely love it here, sweetened with some honey and layered with fruit and granola. If “tangy” is more your thing, simply reduce/eliminate the honey called for in that step. 5. If swapping out the Greek yogurt for traditional. eliminate the milk (as traditional yogurt is thinner), and increase the amount to 2 cups.